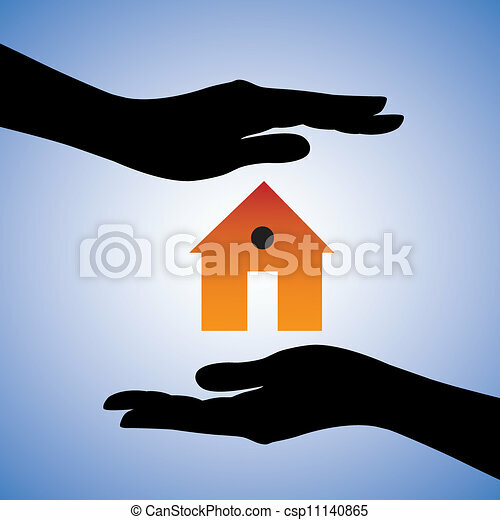 Concept illustration of protection of house/home. this can represent concept of home insurance or installing security system for safety etc. the graphic contains two female hands and a house symbol.